Minhou East-Wall Home Decoration Manufacturer Co., Ltd.
Foshan Nanhai Youbai Metal Co., Ltd.
Yongkang HangPan Import & Export Co., Ltd.
Shenzhen Lindsay Technology Co., Ltd.
Foshan Nanhai Longrich Imp. & Exp. 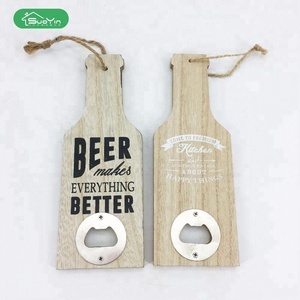 Co., Ltd.
Bar Beer Bottle Opener With zinc alloy bottle Specification: Product Name: Bottle Opener Item No. 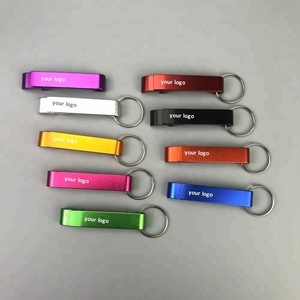 Company description: With more than 10 years of experience in promotional products, we can provide professional advice for customers. We also have a development department which can meet different demands of customers. Yiwu Galore Accessories Co., Ltd.
Shenzhen Etone Technology Co., Ltd.
Quanzhou Dehua Pinsheng Trading Co., Ltd.
Our company is specialized in producing and exporting various kinds of Ceramic Items. For any more information about our company and products, pls feel free to contact with us. pls send your design to us,our development department can make custom products according to your design. Dongying Vast Imp. & Exp. 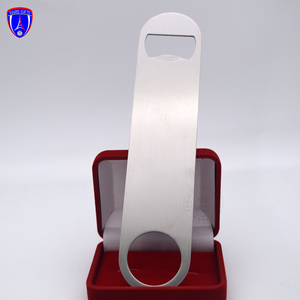 Inc.
Zhejiang Creation Industry & Trade Co., Ltd.
Ningbo Hicom Houseware Co., Ltd.
Fuzhou Shouhe Import & Export Co., Ltd.
Long steel foil cutter: folding stainless steel serrated foil cutter easily removes foil on wine. Our products have been exported to more than 20 countries and areas in America, Europe and Southeast Asia. Some samples can be free,and also some samples need to charge,but the sample fee is refundable when order placed. 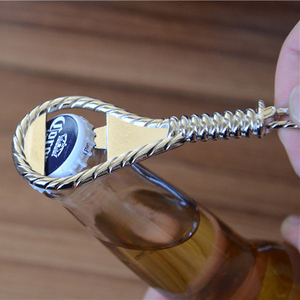 Speed Bar Blade Opener, Vinyl Coated Open Your Bottles Like A Pro! Shanxi Yunwei Industrial Co., Ltd.
5. We can make any different kinds of color of the plastic backside. Button badge, mirrors, key chain mirrors, tin coaster, fridge magnet, bottle opener and so on 5. Eva products. 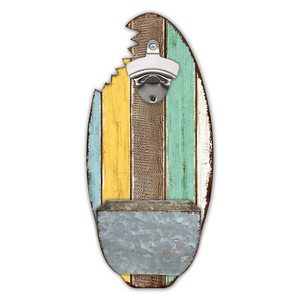 Cap, photo frame, puzzle, key chain, fridge magnet, mouse pad, coaster and so on. 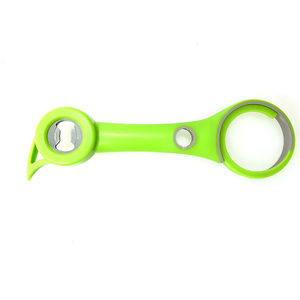 Alibaba.com offers 10,365 bar opener bottle products. About 49% of these are openers, 1% are bottles, and 1% are water bottles. 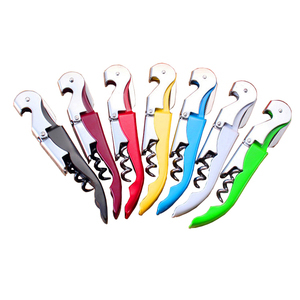 A wide variety of bar opener bottle options are available to you, such as free samples, paid samples. 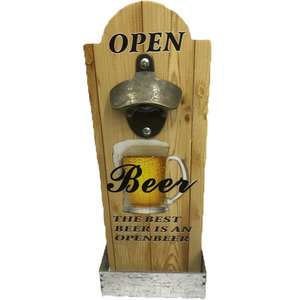 There are 10,612 bar opener bottle suppliers, mainly located in Asia. 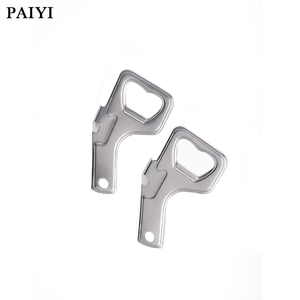 The top supplying countries are China (Mainland), India, and Hong Kong, which supply 95%, 2%, and 1% of bar opener bottle respectively. 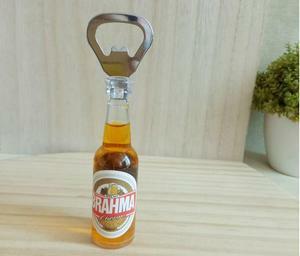 Bar opener bottle products are most popular in North America, Western Europe, and South America. You can ensure product safety by selecting from certified suppliers, including 1,232 with ISO9001, 636 with Other, and 209 with ISO14001 certification.